Ever since Sony pulled the plug on Sam Raimi and his Spiderman franchise back around 2009 or 2010, it has been tough on the studio to bring easily one of the most popular superheroes in history to the big screen again. While "The Amazing Spiderman" movies have been good (and I do stress "good," not "great," not "pretty good," not "okay," just "good. "), they have not been the critical and commercial successes Sony was hoping for. That became evermore evident after "The Amazing Spiderman 2." It's just been an odd franchise, plain and simple. Ever since this revelation, it seems Sony has a different idea about how to go forward each week. There was talk of a "Sinister Six" film, a "All Female Superheroes" film and sequels that sounded like they would wear out their welcome. I don't know how many of you are up on their current events, but it seems the Sony hacks are beginning to get serious. I don't know if the North Koreans are sore at us for making a movie about us assassinating their leader, but one thing is for certain, these cyber-attacks are meant to hurt not help. One thing that came to light that may have raised a couple eyebrows were the emails sent between Marvel and Disney. It seemed that Disney wanted Spiderman in "Captain America: Civil War," and they wanted to know if Sony would loan the character to them. I am not quite sure how long the loan would last, and if Spiderman was going to become a legitimate part of the MCU. Honestly, I can't tell if the deal is still on the table or not. The big thing is Sony and Disney were talking, and what they were discussing was something I would have never imagined would ever happen. Studios coming together to give the people what they really wanted to see, while leaving greed at the front door? Nuts, extremely nuts. I can't even imagine what that would even look like. First of all, my readings made it pretty clear that this was going to be "The Amazing Spiderman" incarnation of the character. Now, that would have raised lots of questions. Like, if "The Amazing Spiderman" existed in the MCU, then where were The Avengers during the various attacks on Manhattan? I know the heroes never really appear in each other's films in the MCU, but the scale of the Spiderman movies were fairly big, and explaining why none of the other heroes were present in Manhattan of all places would be tough. But hey, trying to get Spiderman in a Civil War movie demonstrates that Marvel has its heart in the right place, even if I do think its WAY too early for a Civil War movie. Second of all, it seems my thoughts of this Civil War movie are completely backwards. I've been saying for weeks that all the MCU Civil War would add up to was a struggle between Stark and The Captain. It seems now that other heroes may just pop into this movie, and now I wonder, will this film be too big? But who knows if it will happen. There was also talk of making the next Spiderman movie a comedy, which is not as strange as it sounds. In the comic books, Spiderman was always witty. What separates Spiderman from other superheroes is that he uses humor as a distraction against his foes, so making a comedic Spiderman movie actually makes sense. I may not believe in the idea of hacking computers to spread rumors. But one thing is for sure, the discussion around this information is going to be big for awhile. 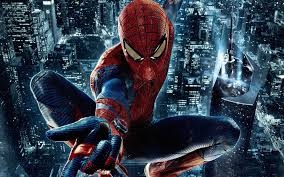 Would you rather see a comedy version of Spiderman or do you think Sony should loan the character to Disney? Plus, what does this all mean as pertaining to the "Amazing Spiderman" franchise? As always, time will tell.